Rokia Traore, an incredible Malian musician, on Spotify while cleaning the kitchen. It’s love. Heattech layers from Uniqlo. I think I’ve worn my “warmest shirt ever” every day since purchasing it last month. AirBNB, because it led us to this YURT(!!!) as a destination for our upcoming California trip! and this dip. Or, more exactly, this excuse to eat tahini-drenched, smoked paprika-covered smashed roasted squash on everything! This was my favorite take away from the Bon Appetit Food Lover’s Cleanse. 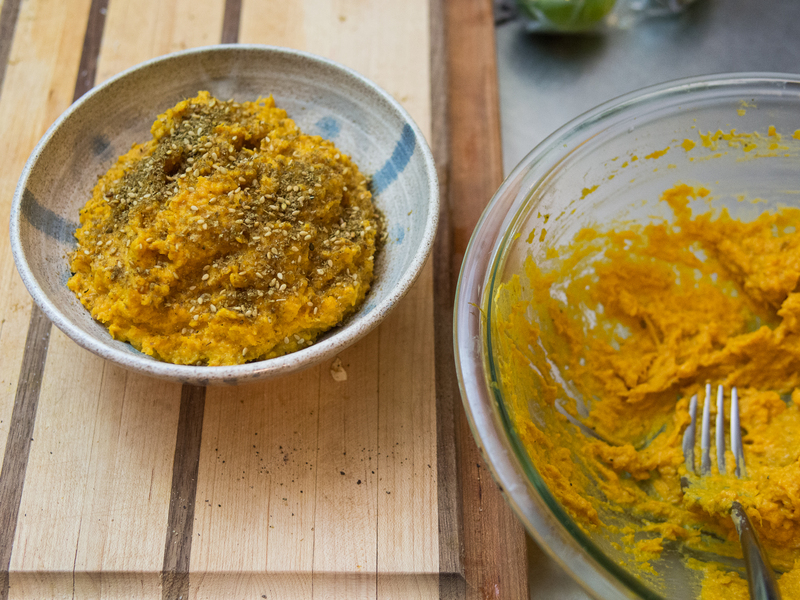 A simple but amazingly tasty dip/mash/spread/puree to enhance any and all foodstuffs. The cleanse called for you to eat with roast chicken, which I’m sure was delectable. 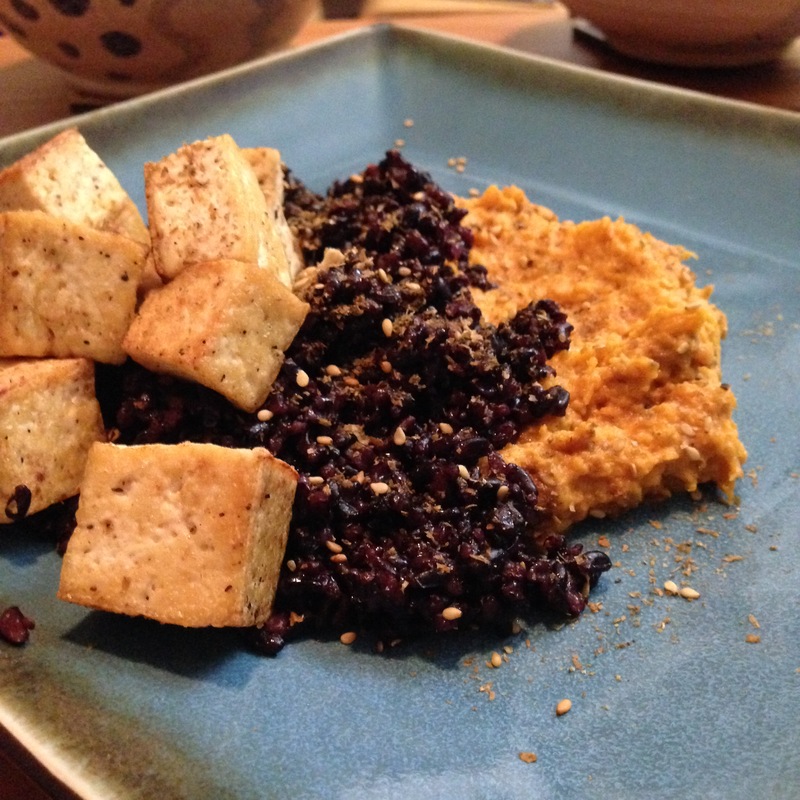 I substituted fried tofu cubes which was equally tasty (but if we’re being technical a bit too much of the same texture). I snacked on it for days with pita, celery sticks, carrots, or even a quick stolen as-is spoonful. 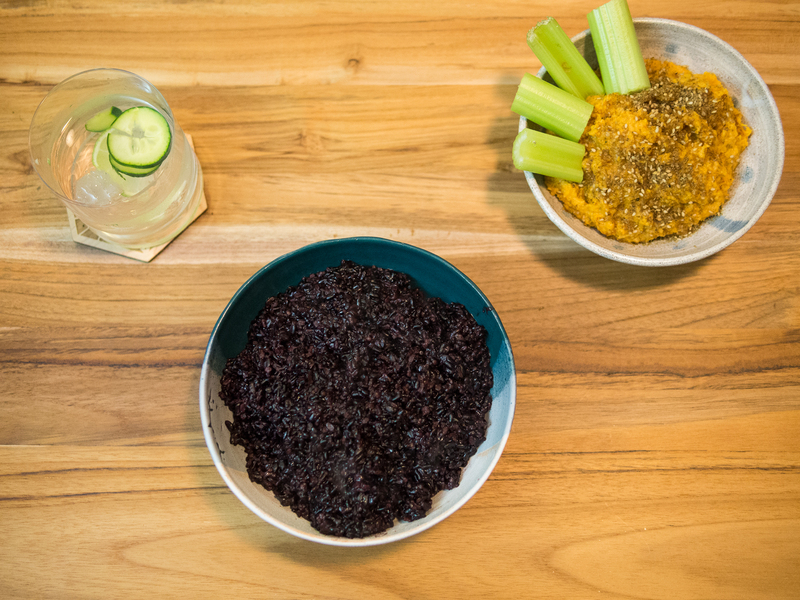 Treat it like hummus and you’ll find dip elation phoever and ever. Heat oven to 425 degrees. Coat a rimmed baking sheet with 1 T olive oil. Sprinkle salt and pepper on squash halves and then place onto baking sheet, cut side down. Add garlic cloves to baking sheet. Cook for about 45-50 minutes, or until squash is very tender. Let cool for about 5 minutes. Then, spoon squash flesh into a big bowl (discard skin). Peel garlic cloves and add them, along with tahini, cumin, paprika, and lemon juice. Mash everything together roughly with a fork. Add s&p to taste. Sprinkle with zaatar to serve. 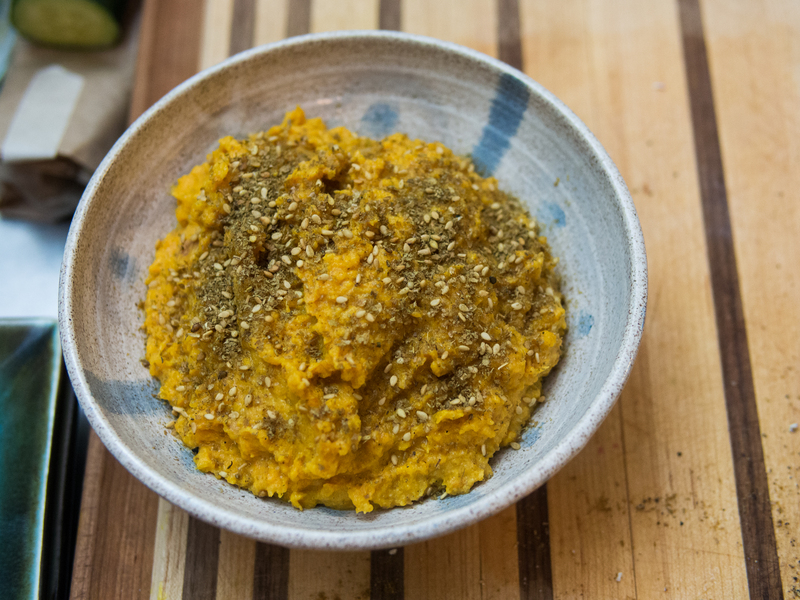 This entry was tagged bon appetit, butternut, dip, food lovers cleanse, gluten free, recipe, side, simple, smoked paprika, squash, tahini, vegan, vegetarian, zaatar. Bookmark the permalink.